PS. You have a most favorite piece of malware? If you go to a run window and type msconfig, you can look at all the startup programs, and remove the Win 10 one. You are lucky it still asks. I have had 2 computers spontaneously start an install. One was foiled when it asked for a EULA, the other just went through. Wouldn't happen - the cockpit displays don't use anything like windows for an OS. When I worked on Displays we used LynxOS for our business jets. the 747 project I worked on - I never had to deal with the OS, so I am not aware of the OS - it may not have any. But if you ever get on a 747-8 - you will see my "stab trim" on the EICAS display. Also note, everything on the Primary flight display, (PFD) basic T, has a mechanical backup - though it would still make landing much more difficult. "But if you ever get on a 747-8 - you will see my "stab trim" on the EICAS display." Do you mean AFTER I breach the cockpit? Well, even with heightened security, I have seen pilots leave the door open while passengers disembark. And the EIcas is in the center of the console, if the EIcas display is set to show the stab trim, it will be on the lower right. You won't be flying a 747-8 though, I believe most if not all were ordered as freighter versions. I resisted updating for the longest time, but because I had to have my hard drive replaced, the guy who did it updated the program at the same time, and I have to say that I like it a lot more than Win 7. It uses a lot less resources, faster start, overall more flexible. I am not sure of the cons, but I do enjoy it a lot more. Thanks. I will ask to see it if I ever inadvertently board a UPS plane. I recently bit the bullet and upgraded but made sure I turned off the Advertising ID feature and other spying stuff that you are allowed to turn off. 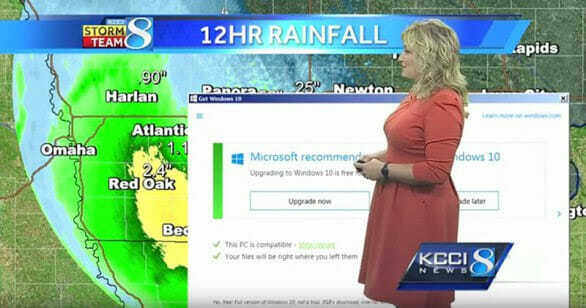 I am sure that Microsoft has put in other spying software but I wouldn't be surprised if they were added to Windows 7 in the updates they do. Might be cheaper to try to mail yourself to the destination anyway. I'm sure it would. I wonder if can I request a transparent package placed within line of sight of the EICAS display. I'll have to specify a shipping speed that precludes ground transportation. I run GNU/Linux. None of this Microsoft-junk ever happens to me.